TripLife Entertainment, a promotions company reportedly owned by former president Robert Mugabe’s sons; Robert Jnr and Chatunga was officially launched at Harem Nightclub in Johannesburg, South Africa on Saturday. Harem Nightclub, located in the posh suburb of Rosebank in Johannesburg, is touted as Africa’s best night club. After the no-show of Nigerian star Tekno, who was supposed to perform at the Rosebank event and Alexandra Sports Club on Friday night, the Mugabe duo went out of their way to find worthy replacements that included award-winning South African hip-hop star Cassper Nyovest and American-Nigerian rapper Jidenna. South Africa-based Zimbabwean dancehall artiste Buffalo Souljah also performed at the event. Robert Jnr posted on Instagram fleeting images of Cassper Nyovest and Jidenna performing. He also posted a selfie with Jidenna. The Rugare hit-maker’s manger, Kelcy Holcomb, confirmed that Buffalo Souljah peformed at Harem Nightclub on Saturday night but was unwilling to talk about anything else beyond his artiste’s performance. “Yes, Buff performed and Cassper as well as Jidenna…it was over-packed; it was a full house…for anything else talk to TripLife Entertainment,” was all Holcomb could say. A South African newspaper, The Citizen confirmed the South African launch of TripLife Entertainment. “For several weeks and without knowledge of the impending military takeover, Robert Jnr and Chatunga Mugabe have been meticulously planning a lavish launch for their entertainment company, TripLife. artistes to Zimbabwe and South Africa. Mugabe’s sons have publicly announced their company by hosting a mini concert at the exclusive Harem Nightclub in Sandton,” the paper said, adding that the headline act Tekno did not turn up. The Daily News was unable to establish why Tekno, who walked away with the Best New Act Award at the sixth edition of the MTV Africa Music Awards held in South Africa last year, did not hold his highly-anticipated shows in Zimbabwe and South Africa organised by TripLife. The build-up to what was supposed to be Tekno’s maiden concert in Zimbabwe was mired in confusion. Early this week, a TripLife Entertainment statement signed by Patrick Vijay Hundu said the concert had been cancelled due to an electrical mishap. But two days later the concert was reinstated. “Following our announcement of a deferral of our show to a later date citing advice proffered by our on-site engineer, we have since rectified the concern. We are pleased to inform you that the Tekno show scheduled for Friday, November 24 will still go ahead as planned. We heeded the concerns of the fans who implored us to fix the concerns,” said Hundu. With music fans looking forward to the Nigerian star’s maiden gig in Zimbabwe, TripLife Entertainment, which organised Jamaican star Tarrus Riley’s Harare International Conference Centre gig in October, dropped the bombshell on Thursday — the Tekno show had been cancelled yet again. 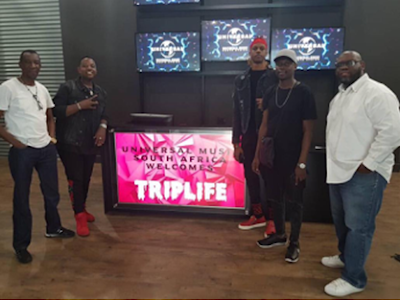 “It is with regret and sadness that Triplife Entertainment announces the cancellation of its high-profile gig featuring Nigerian Star, Tekno. “After doing everything in our power to ensure that all was set for the artist's debut performance in Harare on November 24, 2017, unforseen circumstances beyond our control interfered and jeopardised the event. “Please note that Tekno and his team were looking forward to this highly-anticipated gig and are equally disappointed by this undesirable outcome. His management and other stakeholders are still looking forward to making the trip to Harare though it is impossible at this time. Any inconvenience is sincerely regretted,” read part of the statement. Interestingly, despite the TripLife Entertainment statement announcing the cancellation, the Mugabe duo, rather strangely, continued to insist on their social media accounts that the Tekno concert would go ahead as scheduled.